I haven't updated this since 11/22/07. Hiki no. One more question: Is there a way you can search the members page by state or country and find everyone from a certain place? Like in my case, typing either "ME" or "NH" into the search box and being able to find other members from there? Hiki. Mahalo nui for your kokua. I just looked, and there are four people from Maine on here including me, not three. Please update. Mahalo. 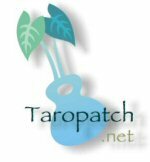 Has the size of the Taropatch forum and distribution of Taropatch members changed much in the last two years? Where did everybody go, after this, and why?